There is a wide landscape dominated by single people who create music by their own and it definitely belongs to black metal. For instance, Chiral is a project of this kind, coming from Italy. 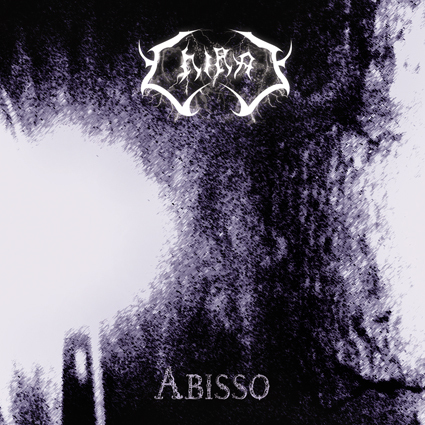 The music is described as progressive black metal and actually, it can be regarded like that, considering the various influences included there. The latest release of Chiral is the Abisso EP, basically the second material after a first demo released this year as well. The EP starts with a windy intro, thunders and rain sounds and continues with „epic” keyboards. Then you can hear that so-called melancholic and atmospheric part and then that so-called nostalgic black metal riff and then some nasty doom death vocals and I honestly had enough of this during my lifetime. But let’s have faith for the second song, Atto I: Oblio and its nice raw black metal approach. Unfortunately the sound is awful especially because of those programmed drums. Otherwise, the guitar tone is quite bad even though the riff from the beginning is classic and good. The song comes with some acoustic breaks and this way of combining opposite dimensions gives power to the music, but I cannot say good things about the final part of the song that brings a non-musical chaos. At least the vocals became tolerably harsh. The piano from the following track is okay, but still I cannot find the purpose of the solo guitar that comes next. Anyways, things would have been great if only the drums have not started. But they did it again and after I forced myself to ignore their sound I could discover the best song of this material. It was the first time when I could notice the influences mentioned in the project’s description, like something from Dissection or Sacramentum, especially in the second half of the track. The final part of the record is a short and nice piano outro that uses again the windy sound in order to complete the circle in a classical manner. Improvements are for sure needed when it comes to Chiral’s music, both in songwriting and musical production. People these days are making haste to release a record and that’s why they forget how to reach the essence of music and so they focus on creating a copy-cat material or music in general that brings a wide range of transiently influences. The musical market is very crowded, to put it like that, even if it’s all about metal music. I hope one day some musicians will be aware of that in order to make any kind of difference.